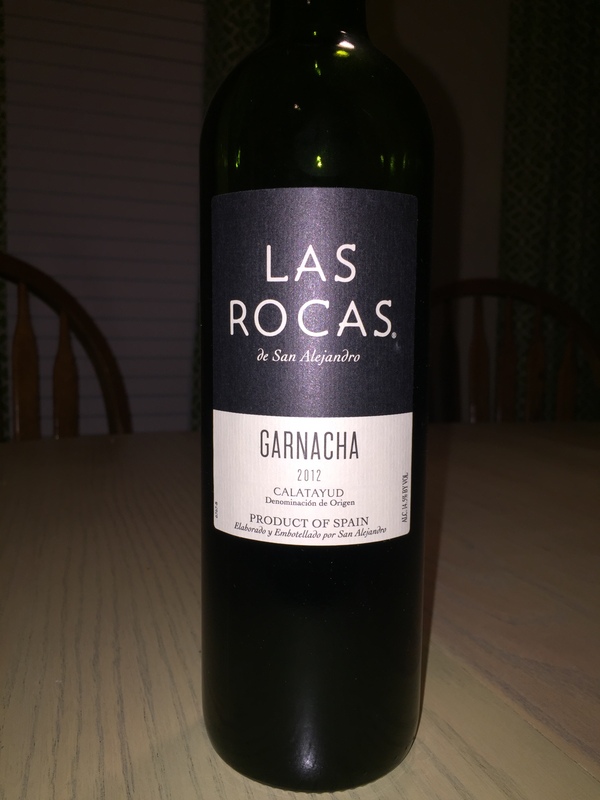 Las Rocas Garnacha is a vibrant red wine with aromas of rich dark red cherry and blackberry. The flavors blackberries, cherries and a hint of chocolate. This is a Spanish wine produced in the tiny town of Miedes about 55 miles North of Madrid in the Zaragozn providence. Founded in 1962 as a grower’s co-op, Bodegus Sun Alejandro mow represents over 350 growers. These Spanish growers farm nearly 3000 acres of vineyards. All of this is located in the Calatayad wine growing region. I am really beginning to like the Spanish wines a lot. I have tasted a number of them over the last year and all have impressed me. I really hope to continue finding new a great Spanish wines. Oh my Spaniard! My husband & I really love this wine. It’s affordable and consistent and goes great with everything: spicy pizza to just sitting by the fire on a cold night. Spain has wonderful wine offerings. Another one is Bordegas Borsao Garnacha. I should try this one! I’m getting into Garnacha lately.